Anita NouriThe Al Qusais landfill, under the jurisdiction of Dubai Municipality, is the only landfill in the Middle East to produce power from Landfill Gas (captured methane). In 2013, His Excellency Eng. 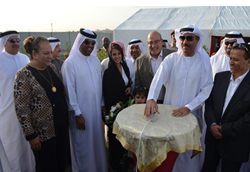 Hussain Lootah, Director General of Dubai Municipality commissioned the site as the first landfill gas flaring project in the GCC. Green Energy Solutions & Sustainability LLC (GESS) working in line with the vision of Dubai Municipality and the Waste Department has developed and constructed the gas collection system and helped to turn the landfill into a streamlined, well-maintained and self-sustained site. Anita Nouri, Business Development Director of Green Energy Solutions & Sustainability LLC (GESS) answers our questions on the largest landfill in Dubai. 1. How long have you been managing in the Al Qusais landfill? We were awarded the contract in December of 2011. Construction on site started January of 2012 and it took 9 months to construct the gas collection system and install and commission the Flaring units. We started flaring in November of 2012 and inaugurated the plant with Dubai Municipality in January 2013 when the project was fully registered with the United Nations under the UNFCCC CDM scheme. 2. What made you get involved? When we moved to Dubai in 2008 we saw an opportunity to make a real difference when it came to Waste Management and Waste to Energy opportunities. This region was lagging behind on the global scale when economically it was growing at “super speed”. Landfills are big GHG emitters and need to be degassed. This gas can provide power while it makes the landfill more environmental and reduces the impact on the surrounding area. 3. What makes Al Qusais landfill different to other landfills in the region? Just the size of the landfill at 3.5 sq km. and the amount of waste it receives per day. Over 1000 trucks deliver MSW to Al Qusais and keeping it active was important to GESS and to the Dubai Municipality. It is with the joint collaboration of the Dubai Municipality staff on site and the GESS team that we were able to achieve this excellent result. 4. What does the future hold for Al Qusais landfill? The future of Al Qusais should be power. It is capable of producing upwards of 12Mw electricity and it is a mission of GESS and of Dubai Municipality to be able to connect this power to the DEWA grid. We are mutually working towards this goal. 4. Are you planning to open any other landfill sites? We have concluded the testing of the closed Jebel Ali landfill and are waiting for the final results. There is great opportunity in the region and Green Energy Solutions & Sustainability is targeting landfills to achieve the real goal of “waste to energy” utilizing the landfill gas to produce sustainable renewable energy. 6. What do you think the perceptions of waste and recycling are like in this region, in comparison with the rest of the world? I think that we have come a long way. It is in the forefront and with the awarding the the EXPO 2020 for Dubai, sustainability and accountability has become an important goal. GESS is supporting the Dubai integrated Energy Strategy of 2030 set out by the Supreme Council of Energy and His Highness Sheikh Mohammed bin Rashid Al Maktoum which aims to diversify energy sources and to preserve the environment. 7. What are your thoughts on platforms such as Middle East Waste & Recycling? Platforms like Middle East Waste & Recycling are extremely important. It does a few things, one it provides a place where likeminded companies and individuals can meet and work together, it also provides education to the region. These kind of events and conferences enable the region to develop its strategies to develop in a more sustainable and environmentally responsible way. 8. Want to hear more about Al Qusais Landfill? As a speaker at the inaugural Middle East Waste and Recycling Conference (20-21 May 2014, Dubai World Trade Centre), Anita will be presenting the Al Qusais Landfill as a case study in front of stakeholders and decision makers from the regional Waste industry. The Conference is FREE to attend. GESS (Green Energy Solutions & Sustainability LLC) is reducing the environmental impact of the Al Qusais Landfill in Dubai. 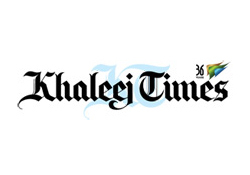 Alarm bells are ringing once again in the UAE as much as in the rest of the world. 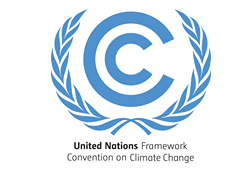 Scientists at the United Nations have underlined the need to combat greenhouse gases. First Climate India is working along with Green Energy Solutions and Sustainability (Gess) in bringing path-breaking GHG mitigation technologies to the region. They have partnered to bring in the first and the largest landfill gas capture project in the region. The project is qualified under CDM and results in annual emission reduction of around 0.4 million tonnes of CO2. First Climate along with Gess is committed to build the first landfill waste to green power projects in the region. It would serve as a symbol of the commitment of the Dubai Municipality and the UAE government to cleaner and greener alternatives. “The path of tomorrow is undoubtedly determined by our choices today,” United Nations climate chief Christiana Figueres said after the UN’s Intergovernmental Panel on Climate Change (IPCC) on Monday warned of a “severe, pervasive and irreversible impact” if nothing is done. The IPCC warned that untamed greenhouse gas emissions may cost trillions of dollars in damage to property and ecosystems, and in bills for shoring up climate defence. The green brigade, politicians, policy makers and envoys, all called for urgent action to avoid the worst-case scenarios of conflict, drought and massive displacement, as was highlighted in the report. Anita Nouri, business development director of Green Energy Solutions & Sustainability, said: “There have been warnings from scientists for many years and when the world economy is affecting governments, the focus on climate and climate change falls to the wayside. “We have to do something together to be effective. There is a ‘global social responsibility’ and projects like Al Qusais are important. By mitigating over 300,000 tonnes of CO2 per year, this project alone is equivalent to taking over 60,000 cars off the road. All landfills are greenhouse gas emitters and should be degassed. This waste gas can be used to provide power. Supporting the Dubai integrated energy strategy of 2030 set out by the Supreme Council of Energy and His Highness Sheikh Mohammed bin Rashid Al Maktoum which aims to diversify energy sources and to preserve the environment. Anita Nouri Business Development Director is a speaker at this event on May 19th at the Dubai World trade Centre.